Crysis 2 is a first-person shooter video game developed by Crytek, published by Electronic Arts and was released in North America, Australia, and Europe in March 2011 for Microsoft Windows, PlayStation 3, and Xbox 360. Officially announced on June 1, 2009, the game is the second main installment of the Crysis series, and is the sequel to the 2007 video game Crysis and Crysis Warhead. Crysis 2 is a first-person shooter video game developed by Crytek. ...... the game. It is the first game to showcase the CryEngine 3 game engine. Crysis 2 takes place in 2023, three years after the events of the first game, in a destroyed New York City which has since been evacuated due to alien infestation. The game begins with news footage of ecological disasters, a large outbreak of the "Manhattan" virus, a gruesome disease that causes complete cellular breakdown, civil unrest and panic about an alien invasion by the Ceph, the tentacled, squid-like alien race behind the incident of Crysis. Due to the breakdown in social order within New York City, Manhattan is placed under Martial Law, and under contract from the US Department of Defense, soldiers from Crynet Enforcement & Local Logistics (or simply "CELL"), a private military company run by the Crynet corporation, police the chaos. Qweas is providing links to Crysis 2 as a courtesy, and makes no representations regarding Crysis or any other applications or any information related thereto. Any questions, complaints or claims regarding this application Crysis 2 must be directed to the appropriate software vendor. 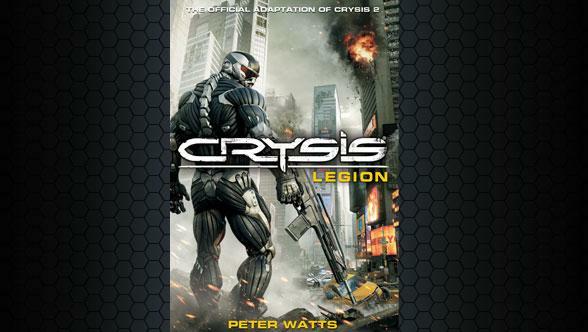 You may click the publisher link of Crysis on the top of this page to get more details about the vendor.